Washington DC is the #1 top tourist destinations in the United States, with over 16 million guests coming to the nation's capital year after year. With all the government building to the many different monuments, this city has a unique DC culture. 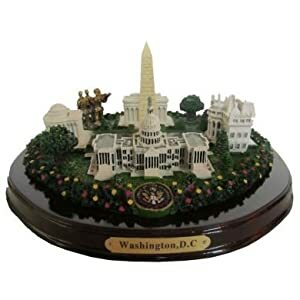 We are the #1 online DC souvenirs shop for any and all your Washington DC souvenir needs. This status also has the representations of the White House, Great Seal of The United States, the Jefferson Memorial, the Capitol, Vietnam Soldiers, the Lincoln Memorial, and of course the Washington Monument.This beautiful statue has a three-dimensional look to the buildings and is surrounded by greenery. It is a high-polished, gloss resin to look like real wood. On the front, the plaque reads, "Washington DC." 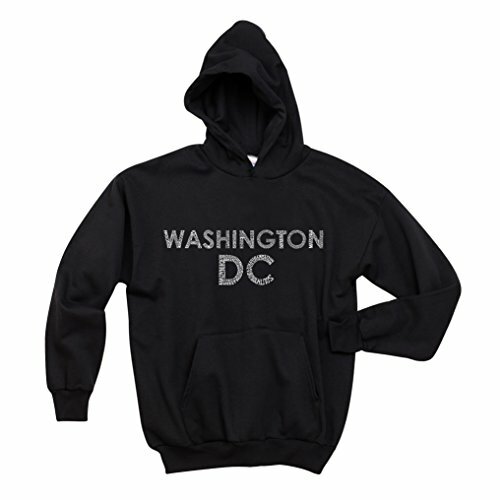 We also know that DC souvenirs are that visitors love are the DC Hoodies. Warm, comfortable and stylish - we have dozens of different types - from George Washington University to Georgetown, and even Washington Caps hoodies - take a look here and see the selection we have. Grab some coffee, review our online DC Souvenirs Store and see our complete selection of Washington DC souvenirs all of them will be a keepsake you will love.